An age-old technique with a MADE twist. Terazzo’s making an interiors comeback, ideal for bringing an artisanal edge to your patio, conservatory or even living room thanks to it’s flecked, multicolour design. Terrazzo's a composite material made from glass chips set in a cement-like mix. With a black powder-coated frame it’s super-sturdy and easy to match with seating. 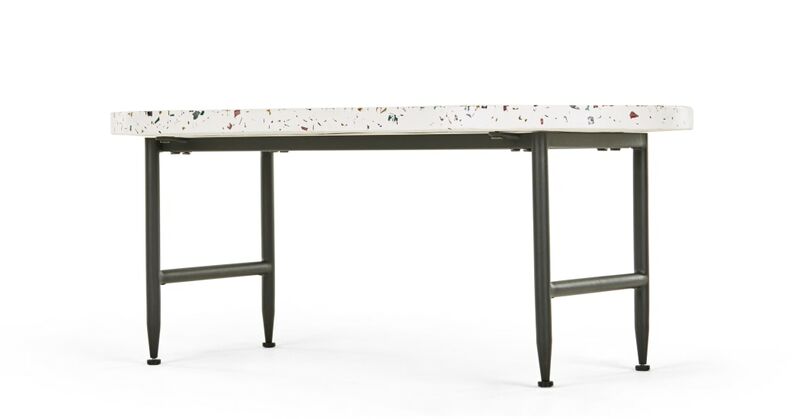 The bright, colourful terrazzo top is contrasted by a black powder coated metal frame giving it a modern industrial edge.